Twestival has been a remarkable ride. The idea that wouldn’t go away. The technology that let it fly. The people who brought it to life. I have spent the last few days looking back at emails, reflecting on conversations I had around that time and the two years since Twestival transformed from a small event in London to what has now become known as a global movement. I recognize that I was uniquely placed with the skill set, network and dash of optimistic naivety to pull off something like Twestival. It still blows my mind looking back to realize how many people stepped forward, even through small actions to be apart of it. Twestival was the first time many international countries had even heard of Twitter in the media. A time before Ashton Kutcher had over a million followers or even before Oprah tweeted. Two years on, $1.2 million raised and the movement is about to evolve again. So I wanted to pause for a moment with a long post to highlight those who have played a key role with their time, talent and resources along the way. 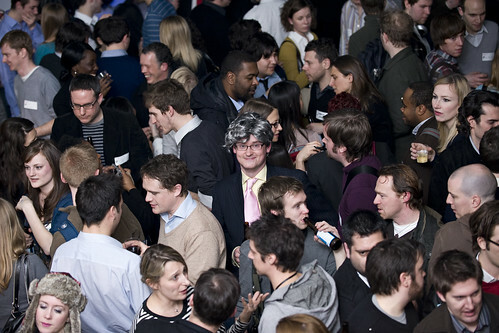 It’s a little known fact that Twestival originally started off as a single event in London on 25 September 2008. A few friends of mine (Ben, Tim, Tom) met in a pub at the end of summer after a game of football and started talking about bringing together a group of our PR friends, who knew each other from Twitter, for drinks and karaoke. A couple pints later (with a nod to those old school food drives) Harvest Twestival was born. The next day they asked if I’d help with event planning - so in typical Amanda-style I booked a bigger venue, convinced the guys we could fill it, ditched the karaoke (sorry Tom) and brought in my friend Renate and her talented brother Ruben to help with the music and website. Just over two weeks and many sleepless nights later, we had a sold out event connecting 250 people from one of the fastest growing Twitter communities and managed to do a little good in the process for The Connection. We even surprized everyone with a live performance of the Twitter song. It was a great night. Soon people started asking when it would happen again, so we recruited a few more London volunteers including my friend Elizabeth and starting planning for early 2009. I suggested we drop the word Harvest and call it simply Twestival, casually mentioning I was working on something involving a few other cities. In actuality, I was thinking quite big, but since others were already giving me funny looks of trepidation, I kept the global idea pretty much to myself while they focused on the London event. Picturing 40-50 international cities hosting events on the same night, for the same cause. I had a clear vision in my mind to keep similar elements of the first event like tight timelines to generate buzz, reaching out to the Twitter community for support and volunteers, and ensuring that 100% of donations go direct to the charity. Only there was a crucial piece of the puzzle missing - that one cause which could unite people on Twitter. I had researched a few organizations, but felt all of their messaging was too complex for other countries to rally behind, let alone in 140 characters. That’s when I came across charity: water thanks to a tweet from someone in the US who was fundraising for their birthday. Water is a cause that has always been important to me after traveling and working in developing countries, so it struck an immediate chord. 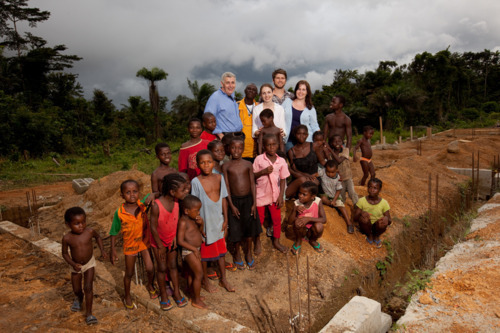 At this stage, charity: water didn’t have a Twitter account (yes, I know it’s hard to believe… now), but the founder did. So over the holidays I started doing my due diligence on charity: water and was impressed with their innovative model and knew their transparent approach could win everyone over. I started reaching out to people in my network who I thought would be up for hosting a Twestival in their city. The initial responses I got back were massively positive. On 31 December 2008 I emailed Scott Harrison, Founder of charity: water and he wrote back within hours saying, “We’d love to do this!” That was exactly what I wanted to hear and all I needed to launch. Over Christmas 2008, my friend Bill and I had spent an afternoon at a pub near London Bridge plotting out what kind of website infrastructure I’d need to scale. We didn’t get too far along on the WordPress site, but I did walk away that day feeling as if I could make this crazy idea work. Tweets and emails back and forth with Michelle in Austin, Adele in Montreal, PK in Dubai, Alison in San Francisco, Jay in Hong Kong; who were some of the first to agree in private that they’d host events. I had already been collaborating online with Sukhi to create a fresh, new brand identity for Twestival after he answered my tweet for design help. We still have yet to meet in person, which is actually an amusing running theme between me and some of the main contributors, as you’ll soon read. 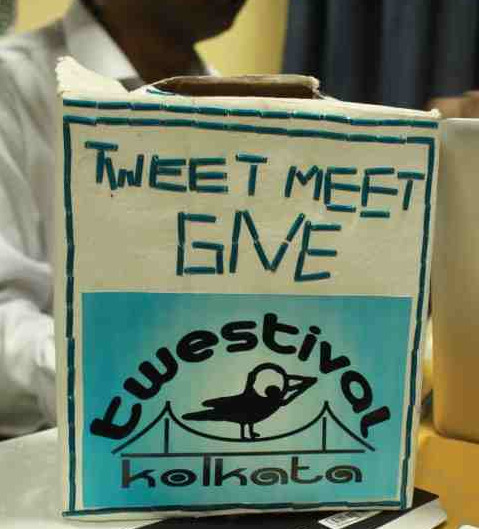 I have estimated somewhere in the range of 2000-2500 volunteers have actively contributed to Twestival. While that number is huge, there are only a handful of people I can say worked alongside me on the global team day-in-day-out to build and maintain the website which powered Twestival. They deserve as much kudos as I can possibly give them. Tony Scott is a man of few words, but managed to build the original WordPress MU site we needed from scratch in a matter of days. I don’t think he knew what he was getting himself into when volunteering (or working with me), but I could not have been more grateful. We worked tirelessly together for weeks; yet the only time he and I have ever met in person was the night of that first Global Twestival. Tony is a legend. When I decided to host a second Twestival in 2009 and make it Local, I knew I needed a team in place to help grow the website. Jose and Tom, who had helped to organize Asheville Twestival answered the call and became indispensable as we integrated a new map and set of features for organizers. I collaborated with the team at Applied Solutions for months and could not have asked for a more passionate group of developers. I have promised them one day I will visit them in North Carolina to sit down for that long overdue celebratory drink. They can hold me to that. In the lead up to Twestival Global 2010, I wanted to tackle two new challenges. First, to support the cause of Education which I feel gets a backseat because it is often hard for people to understand the dire consequences when 72 million children in the world don’t go to school. It is also a complicated issue to communicate, particularly when supporting an organization like Concern Worldwide, who are remarkable and way too humble given the impact of their efforts. Secondly, I wanted to ramp up our technology and allow cities to be empowered by real-time donations. Studio Good went above and beyond to create a unique spinning globe and work closely with our great partners like GoToMeeting, PayPal and Amiando to ensure everything integrated for cities seamlessly. The professionalism and enthusiasm of Chris, Joey, Sally and Brian to keep pushing the boundaries for this event blew me away. Communications played an enormous role in creating the media flurry around Twestival and Jaz Cummins did an fabulous job during that first Twestival to support the UK and field interest globally. I am also grateful as Porter Novelli Worldwide supported Twestival as global media partner in 2010. I’m really proud of how much creativity and innovation emerged in such a short space of time. It is an aspect of Twestival that I think gets overlooked. We had an incredible number of projects developed and I’ll try to acknowledge a few here. TwestivalFM was powered and built by volunteer developers at SoundCloud. Dave and Renate spearheaded this initiative which connected artists like Imogen Heap, Metric, and David Usher who gave tracks so users could download and donate using a cool world map. One of the biggest goals was to somehow livestream and connect cities around the world through video and Brian and his team at Noonan Media took on the unique challenge and built us a bespoke system. Jof and the team at FitFu thought it was a cool idea to create an app that would generate a wordcloud with the largest donors getting their @name bigger in size and within a week it was up and running. Roby and friends at Desired Hearts in Austin hosted a design contest and sold the first official Twestival t-shirt. As a nice tie-in, I asked the winner Lenwood to design the Twestival Local logo. Thanks to Peter and Genius Rocket who sponsored the competitions to create an amazing pre-roll for our videos and official book cover. I was thrilled to partner with Live Earth who I had long admired for their global charitable concerts and worked with Catherine and Andy to continuously pull in content through a specially designated site. Hermione and Sam from Newspepper took time out of their busy schedules to film and edit a great video which was an introduction for Twestival. We hosted two massive auctions with the support of eBay and Geri and the team at Kompolt were complete livesavers coordinating the auction to ensure things were handled professionally. Too many celebrities and people to thank around the auction, but special mentions to Laura, Jackie, Steve, Lucie, Laura and Adam. This year we experimented with a few new projects. I had this idea of producing a short animation about Twestival to inspire volunteers. Jamie from Sliced Bread Animation and his team volunteered over a week of their time to produce it in London. Crystal and Leynete wrote the script and creative for the piece from SF, with National Geographic donating images from DC and Elias Arts contributing the music from LA - it was truly a melting pot of collaboration. Another project I initiated was the production of a short video about Concern using their educational footage. Maureen of Moped Productions and Susan knocked it out of the park and we were grateful to Moby for lending us his track. We debuted our very own iPhone app with the help of Matt from Future Workshops and the team at The Noble Union. Finally, it was fantastic to be able to translate our volunteer handbook into over 20 languages thanks to the support of Gaelle and Valerie of Virtual Words. A huge undertaking with lots of volunteer support to make it al happen. There are hundreds of people to thank, including the hardworking organizers, coordinators, designers, developers, sponsors, donors, friends. Please forgive me if I forgot to add your name. Thank you must must begin with the London startup and Twitter community whose enthusiasm for Twestival had a ripple effect upon the rest of the world. Special thanks goes to : Tipjoy, Salesforce, Huddle, Perkins Coie, MediaTemple, PRNewswire, Blurb, Animoto, UStream, Spreadshirt, Moo, UserVoice, Wufoo, Bump Technologies, Causecast, Huffington Post, Mashable, Austin Ventures, Entrepreneurs Foundation, Case Foundation, Queen Rania, Sarah Brown, iJustine, Barry Vitou, Danvers Baillieu, Stewart Townsend, Bindi Karia, Sylvia Tan, Eric Tuason, David Baeza, Felix Haas, Therese Maher, Judy Chang, Linette Atterbury, Charlotte Hill, James Stiff, Chris Pirillo, Bing Yang, Steve Jang, Shira Lazar, Steph Agresta, Karen, Ivan and Abby Kirigin, Dominic Campbell, Rory Cellan-Jones, Andrew Keen, Jemima Kiss, Paul Carr, Soraya Darabi, Pete Cashmore, Mike Butcher, Richard White, Scott Rutherford, Krystyl Baldwin, Stephanie Terroir, Claire Williams Diaz-Ortiz, Leah Lamb, Vaijayanthi KM, Julie Haddon, Amy Skeeters-Behrens, Robert Chatwani, Amanda Miller, Nick Aldridge, Oliver Mardling, Green-Shoot, Lawrence Sheldon, Dammit Studios, Digital Maverick, Ria Flemming, Meredith Barnett, Micky Sever, Zoe Margolis, Claire Thompson, Abi Signorelli, Aren Grimshaw, Anna Bosworth, Sonia Ryan, Sarah Prevette, Toby Daniels, Matt Cowan, Shane Richmond, Mathieu Drouin, Milo Yiannopoulos, Nick Halstead, TweetMeme, Jason Stanley, Eugene Sepulveda, Brian Simpson, Ruth Bazinet, Nancy Lublin, Cameron Sinclair, Kirsten Butler, Matt Walker, Guillermo Rauch, Brandon Maseda, Greta Eagan, Julia Roy, Clay Hebert, Maria Popova, Beth Kanter, Allison Fine, Deborah Wroe, Azita Ardakani, Geoff Livingstone, Ivan Tse, Alberto Nardelli, Robert Loch, Alex Hoye, Desigan Chinniah, John Davidson, Oli Barrett, Danny Miller, Esther Havens, Niki Cheong, Raiha Buchanan, Melissa Jun Rowley, Alex Myers, Alisa Gilbert, Jason Stanley, Jon Cart, Gradon Tripp, Henning Bohnsack, Marc A. Pitman, Sam Michel, Fabio Carvalho, Deborah Crooks, Viktoria Harrison, Becky Straw, Lane Wood, Shakil Khan, Chris Heuer, Kristie Wells, Robin Jones, Nicky Yates, Jeff Pulver, Dominic MacSorley, Siobhan Walsh, Mick Dyson, Rosemary Siciliano, Elizabeth Wright, Joan Bolger, Dara Burke, Joy Moh, Kari Dunn Saratovsky, Joe Braidwood, Ruth Barnett, Nicola Riordan, Marcus Nelson, Fujiko Suda, Vivian Pein, Henning Schmidt, Mark Mann, James Sutyando, Chris Sacca, Rynda Laurel, Jenna Wortham, Ian Haisley, Urs Haeusler, Gary Vaynerchuk, Ben Walker, Phil Campbell, Christian Payne, Matt Rawlinson, Dave Hughes, James Governor, Sharon Hirsch, David Levy, Charles Olive, Christine Lu, Michael and Xochi Birch, Biz Stone, Evan Williams, Jack Dorsey, Jamie Coomber, Chris Ward, Dan Craig, Robert Michael Murray, Damien Austin-Walker, Claudia Ruiva, Matt Grundy, Rachel Sklar, Ben Meck, Rob Baker, Alex Cone, Kevin Boulas, Yam De La Pena, Erica Fonseca, Marijane Miller, Jim Turner, Katy McGrath, Maria del Carmen Lara Dillon, Fatos Simsek, Kena Siu, Mihai Dragomirescu, Holly Bergantino, Mark Venezio, Michael Glaser, Robert Allendorf, Grace Han Stanton, Lisa Motherwell.